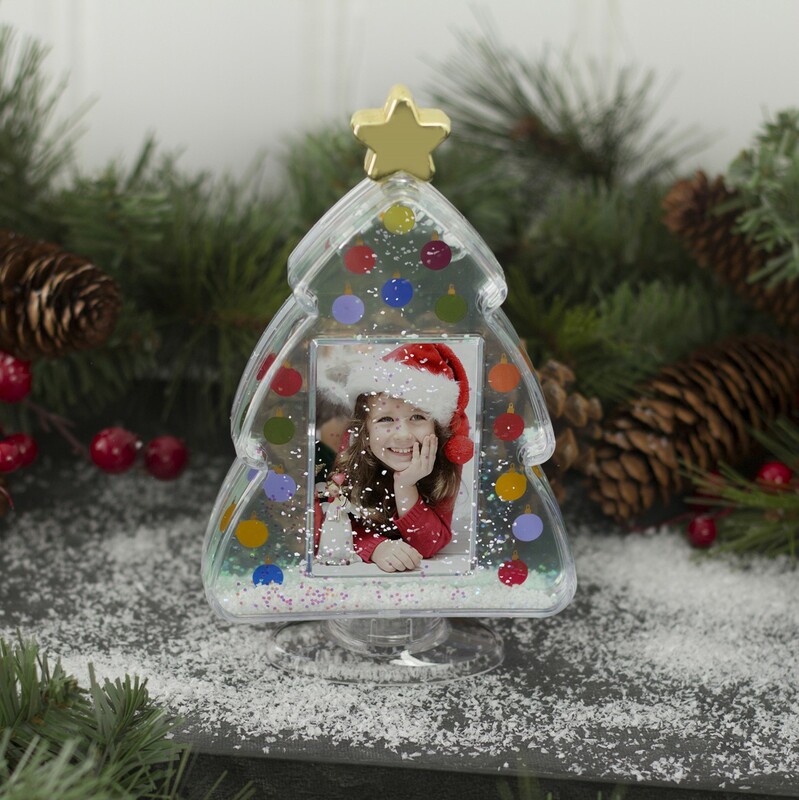 The unique Christmas Tree Photo Snow Globe really captures the holiday spirit with its brightly colored ornament decor. 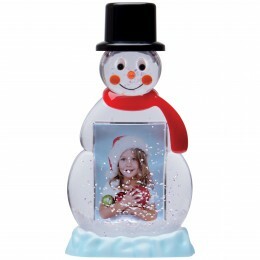 It splits apart to hold up two photos for an instant seasonal keepsake. Just shake and watch the gently falling snowflakes. Overall Size: 4" x 7"
In regards to the STAR on top, I've seen conflicting photos: 1. Is it Silver, or gold? 2. 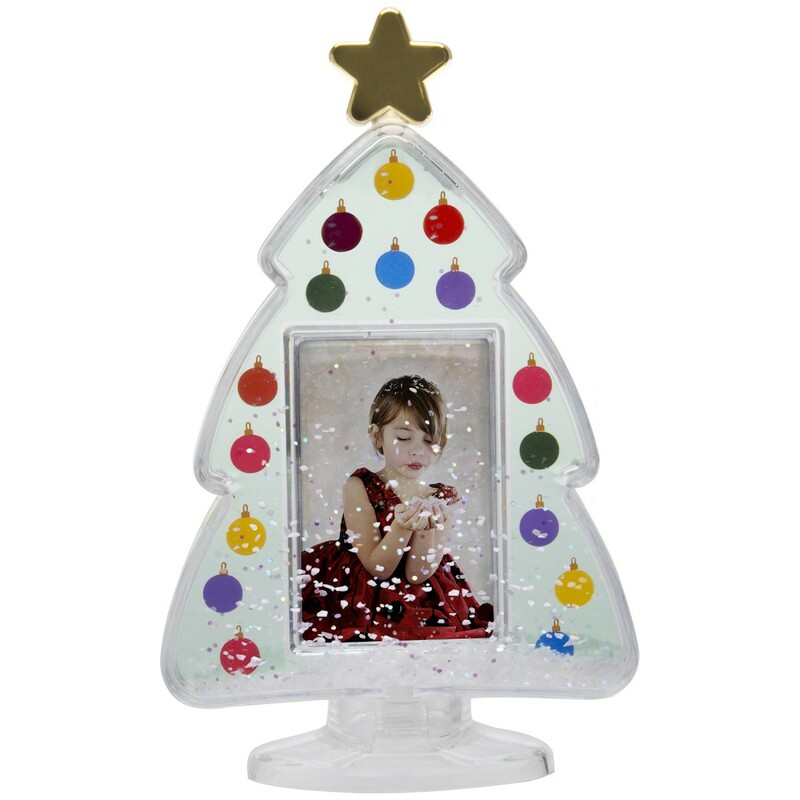 Is Star & Tree -whole unit- acrylic/ plastic? 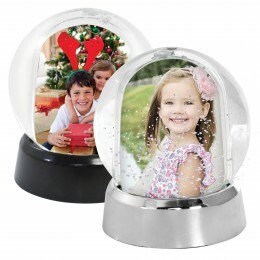 The star on top of the Christmas Tree Photo Snow Globe is gold and the entire photo globe is made out of a thick, hard plastic.